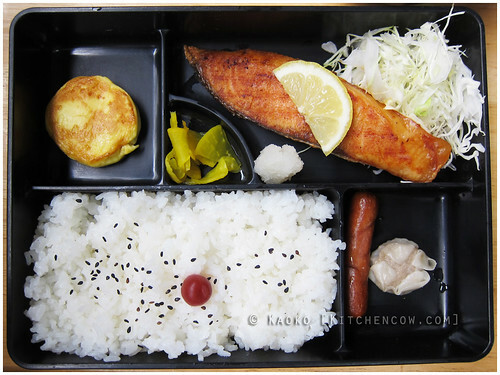 The idea of a complete, balanced meal with lots of little nibbles is one thing I love about bento. Especially when it’s prepared by other people and all I have to do is eat. I love preparing them, but hey, I’m allowed to be lazy too, right? 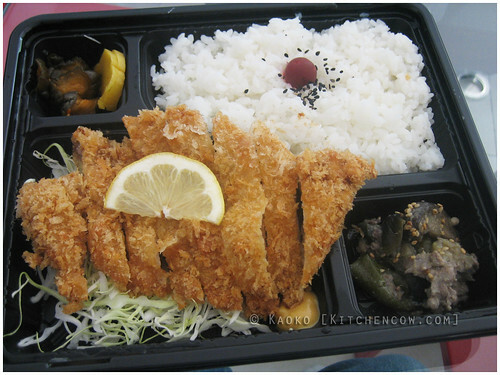 When I was still working in the Makati area, one place where I loved picking bento up was Choto Stop in Little Tokyo. Unfortunately, right after putting this post together, I learned from my friend Y that they’ve stopped selling bento a few months ago, right around the time I’ve stopped coming to Makati regularly to work. It’s such a pity since I really enjoyed the ones I’ve tried. 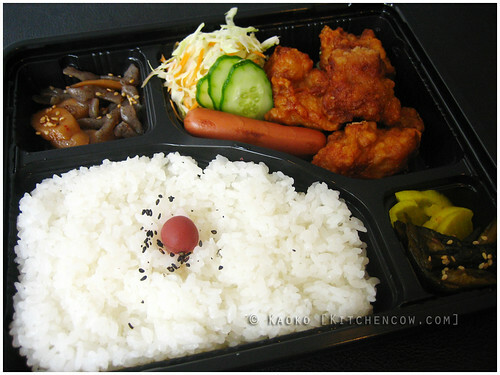 I found it especially convenient to pick up a set lunch whenever I was thinking of working over lunch. They used to have a wide variety of lunches to choose from, so I’d end up wasting precious time trying to decide what to get. Fortunately, I usually ended up satisfied with my meal. I had a lot of happy packed lunches there, but sadly, they’ll be relegated to memory now. Thanks for the yummy lunches, Choto Stop! Choto Stop is located at 2277 Chino Roces Ave., San Lorenzo Village, Makati City. The restaurant has closed down, but the convenience store remains open for business.